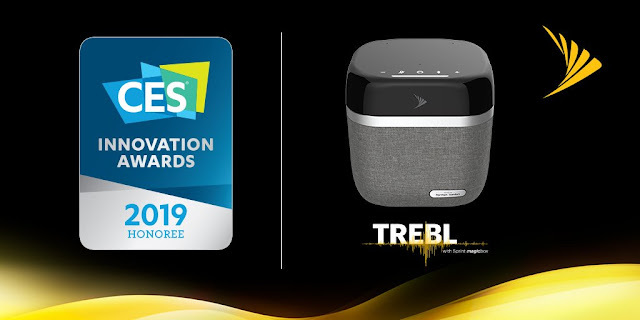 Sprint's award winning MagicBox that we have written about multiple times in this blog has launched a new product called Trebl that contains indoor Magic Box small cell, integrated Amazon Alexa voice capabilities and Harman Kardon sound quality. The TREBL with Magic Box, introduced this week at CES 2019, won a CES Innovation Award in the Smart Home product category. TREBL is a wireless small cell that accelerates LTE data coverage and speed while controlling smart home devices using Amazon Alexa. 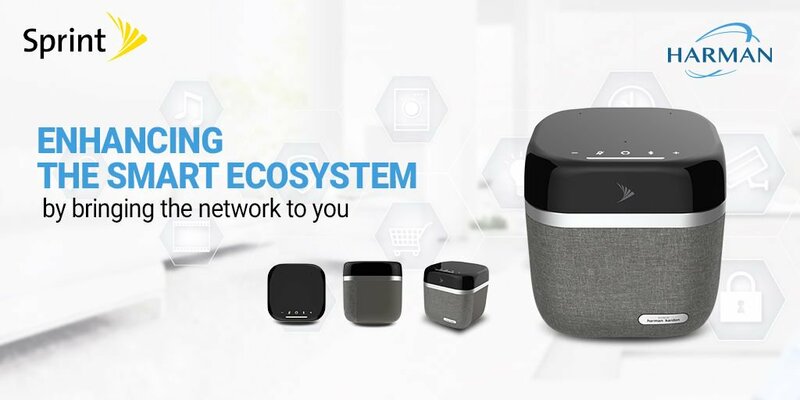 The small cell can also play music with Harman Kardon audio through two 8 W speakers, an embedded amplifier, three built-in far-field microphones, Bluetooth, and noise and echo cancellation. The TREBL with Magic Box is water-resistant, making it suitable for both indoor and outdoor use, and it is lightweight for portability. While we love the style, we are not exactly sure why someone would need this combination of Magic Box and Alexa. We will wait and see if it succeeds. In the meantime we wish Sprint the best of luck for Glomo awards.